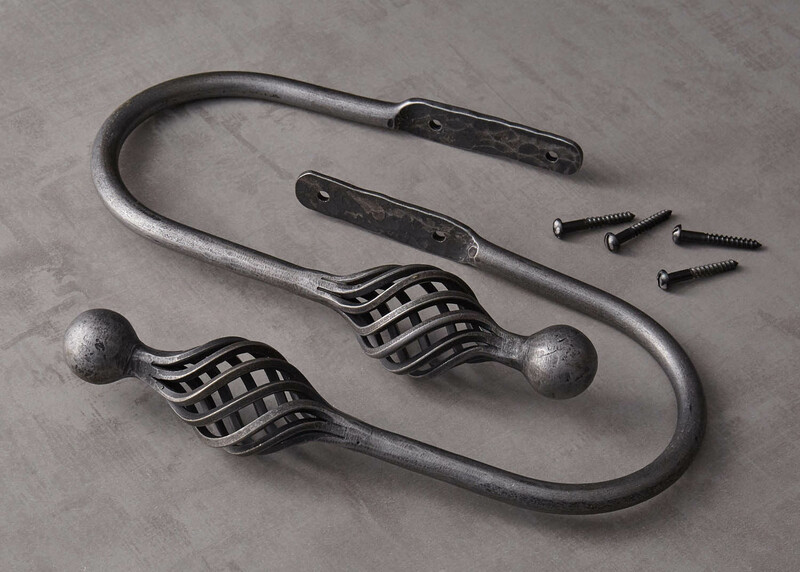 Nature's twists and turns in free-growing vines were always the inspiration for this elegant piece. 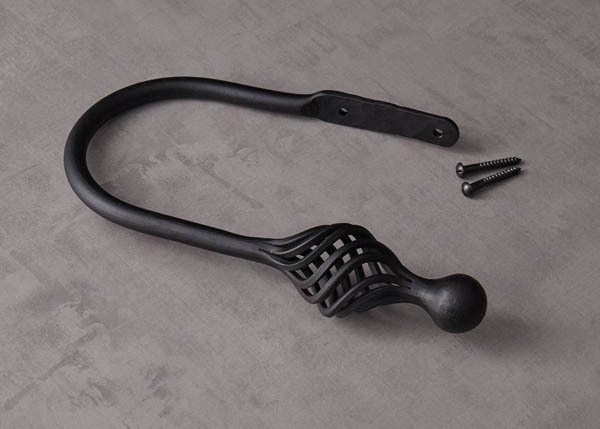 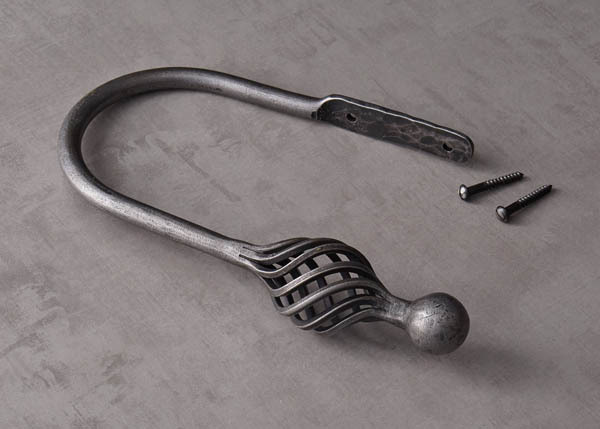 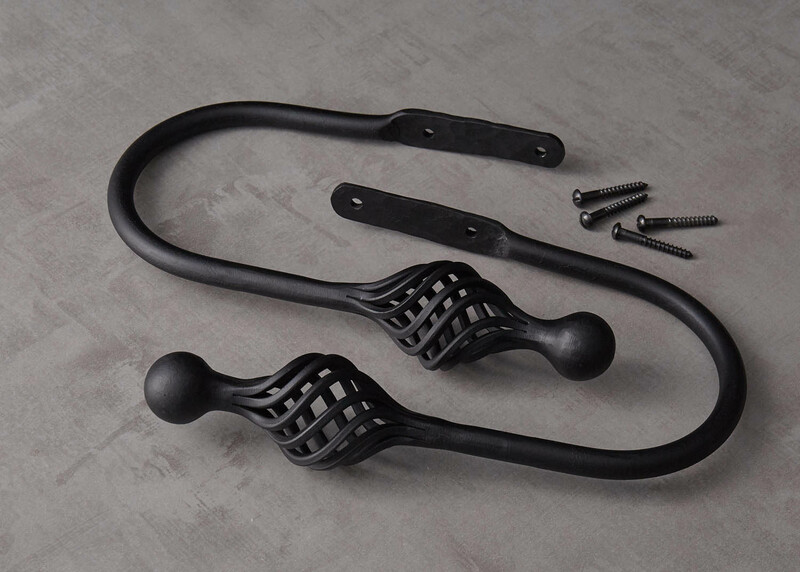 The Ball and Twisted Cage finial has order wrought into it and as a design, the finial is striking to look at and one that will last you a lifetime. Our products are made in our Suffolk Forge using traditional blacksmithing techniques. 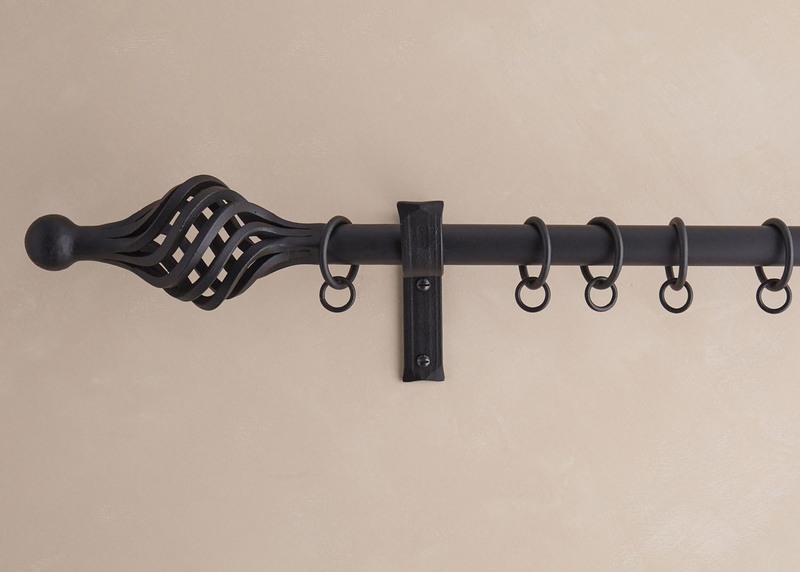 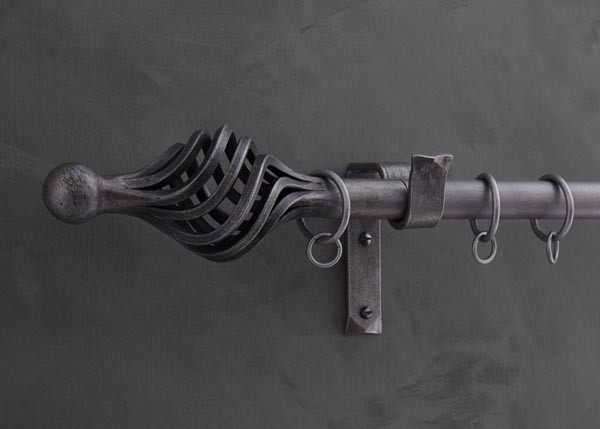 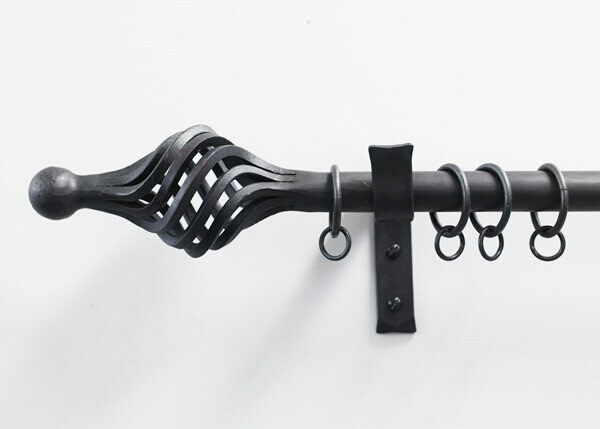 Your windows will have a dramatic yet traditional finish when you have this handmade wrought iron curtain pole installed. It will add a timeless character to any window. 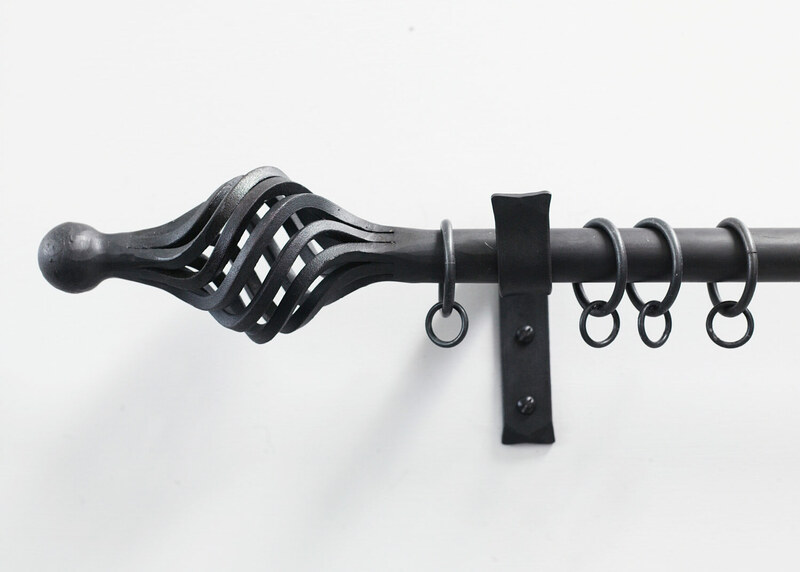 Finial length = 23 cm, depth 8cm. 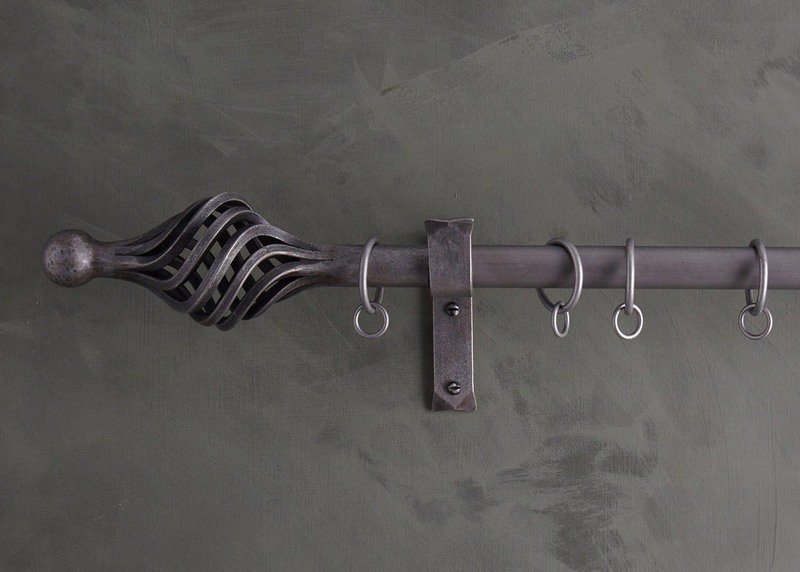 The curtain bracket sits the pole 7cm from the wall.